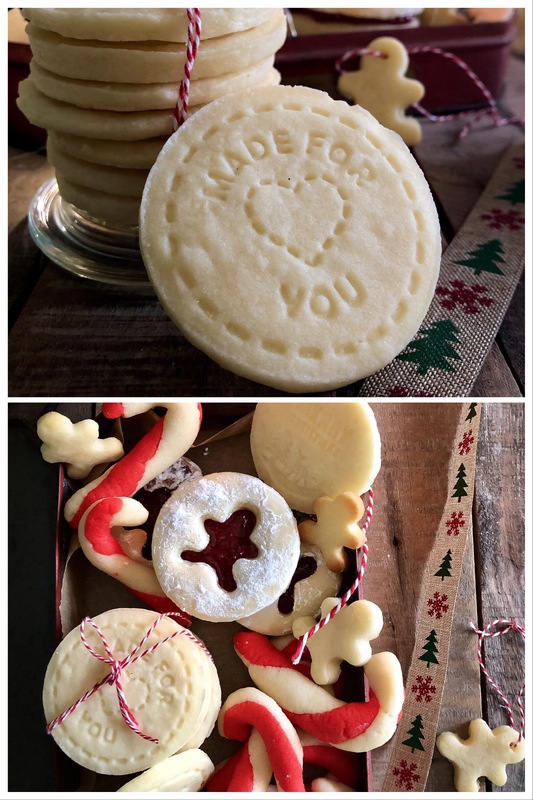 Egg free Cookie Box | Christmas Cookie Box is an ideal way to prepare a variety of cookies at one go using just one cookie dough! 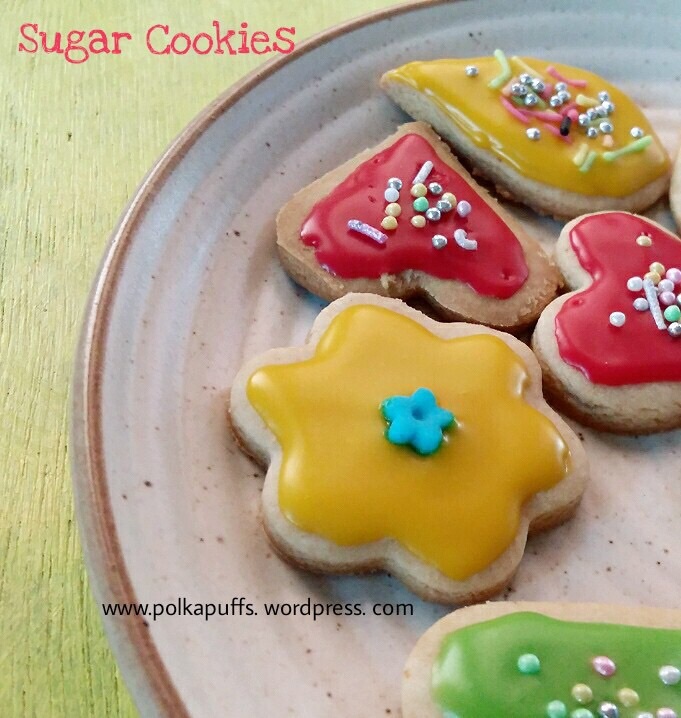 Yes, just one easy eggless cookie dough and turn it into delicious variety of cookies 🙂 This makes for an ideal Holiday present, looks pretty and tastes so good! 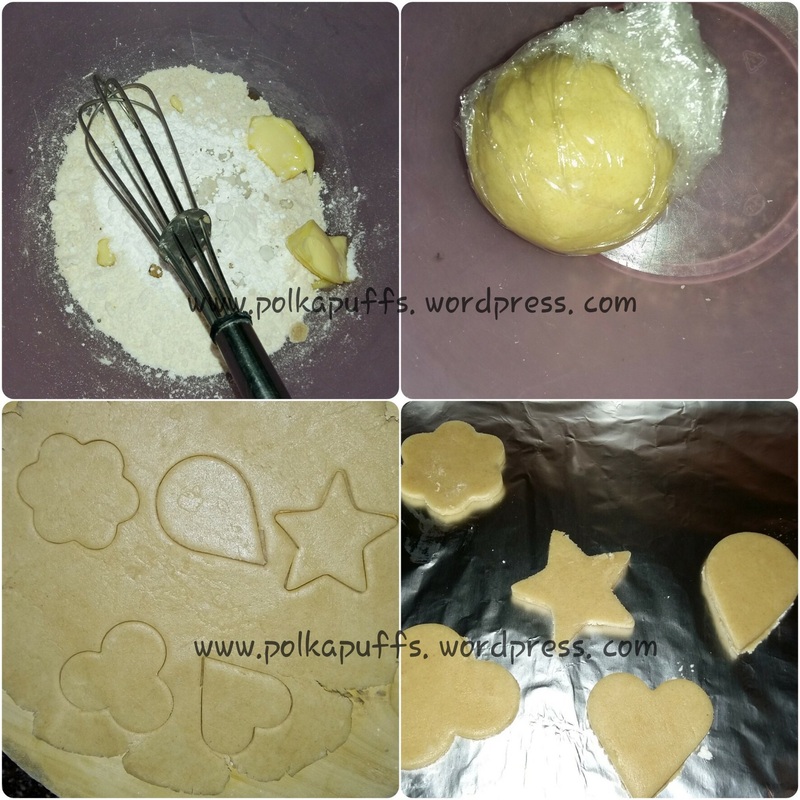 Egg free Cookie Box | Christmas Cookie Box seems a little involved to start with but it’s just the dough that needs to be ready. 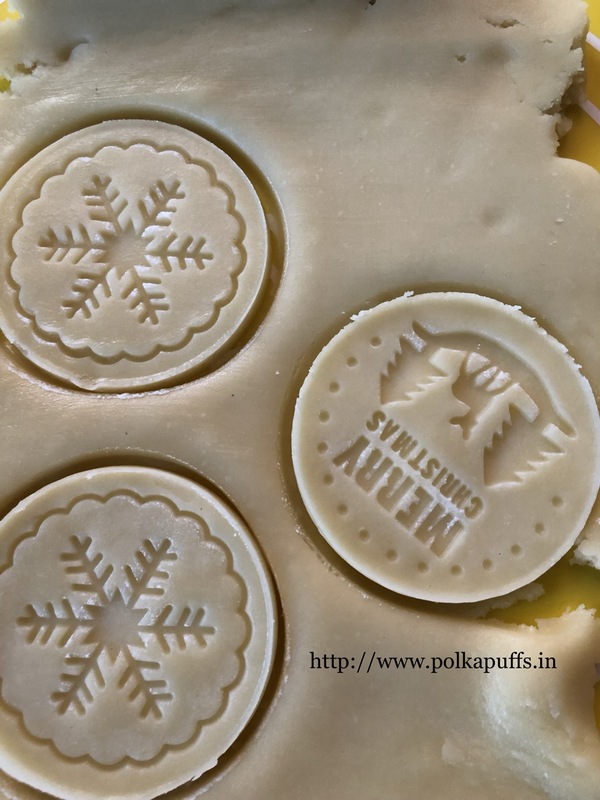 Once it’s ready, you can let your imagination take shape and dole out the prettiest cookies! Since, they dough is very simple to make, you can make these cookies in multiple batches and even freeze some dough for 15-20 days. Egg free Cookie Box | Christmas Cookie Box can be filled with any variety of cookies. But, I chose to use my sugar cookie recipe with some changes as a base to fill this Egg free Cookie Box | Christmas Cookie Box. Once you’ve perfected the cookie dough and then baked it perfectly, use different ideas to present them. I’ll walk to through the 3 ideas that I’ve used for my Egg free Cookie Box | Christmas Cookie Box. Egg free Cookie Box | Christmas Cookie Box first had the classic stamped sugar cookies. One can never go wrong with these. 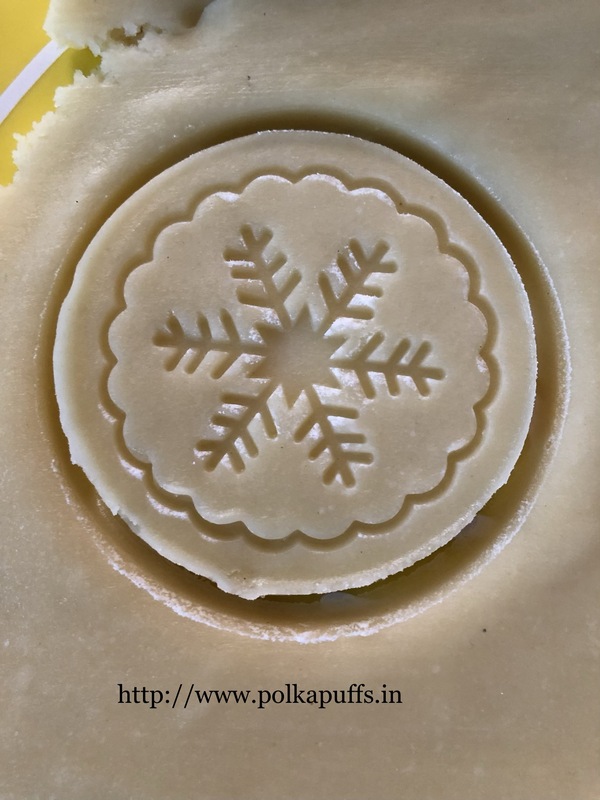 I have used Holiday stamps to press a design on 8 cookies before baking them. Simply roll out the dough, cut the shapes, stamp them and the refrigerate the cookies for 15 minutes before baking them for 10-12 minutes. They must not change their color. This way they wont spread much. They will also retain the beautiful design as they won’t spread. If you don’t have these stamps, simply keep them plain, cut them out, refrigerate them for 15 minutes and then bake them 10-12 minutes. They must not change their color. They will first be very soft but leave them on the baking tray. They will crisp up as they cool. Once they are completely cooled, store them in airtight boxes, they will remain fresh for 3-4 days. Egg free Cookie Box | Christmas Cookie Box next had the classic jam filled Linzer cookies! They are so delicious, buttery cookies sandwiched with some homemade strawberry jam is a delight. You can even fill it with a jam any other flavor, but I prefer strawberry or raspberry. I have used a snowman shaped cookie cutter this time, I cut out the snowman shape from 3 cookies, and cut 3 plain cookies for the base of these linzers (if you don’t have fancy cookies cutters to cut out shapes, simply use the cap of a bottle to cut out shapes). Then I refrigerated the unbaked cut outs for 15 minutes and then baked them for 10-12 minutes. They must not change their color. They remain soft at first, let them sit on the baking tray so that they crisp up. Fill the plain cookies with the jam, top them with the cut out cookies. Dust the top of the cookies with some icing sugar and then store these in airtight boxes. They too keep fresh for 3-4 days. The tiny snowmen in the pictures are the cut outs which I chose to bake and use as Holiday Décor. This picture is from last year’s linzer cookie post. you can use any cookie cutters. 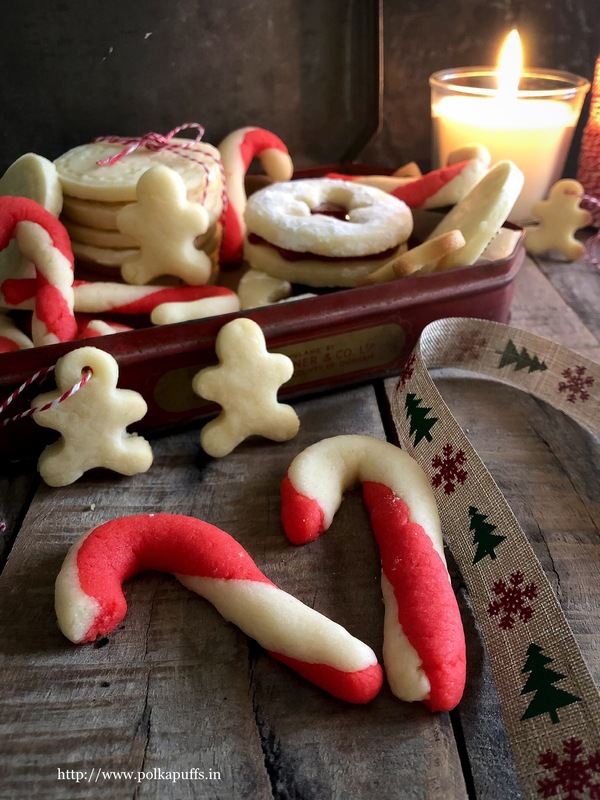 Egg free Cookie Box | Christmas Cookie Box must have some candy cane cookies! It’s Christmas and they look just apt. They are a bit tricky I agree, but very easy to put together. I suggest you do make these but with gel based color only as that gives the best outcome and don’t tend to stain th white portion at all. 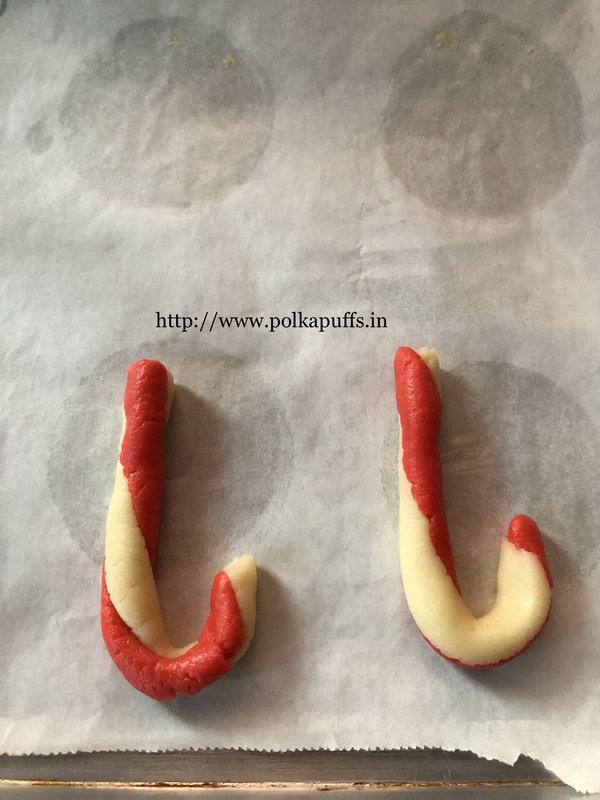 Please follow the instructions very carefully to nail these candy cane cookies. I took 2 balls of the dough that weighed equally (60 grams each). I colored one ball with red gel color and left the other ball as it is. Roll the two balls into long thin logs of the same size an width and then follow the steps shown in the pictures below. 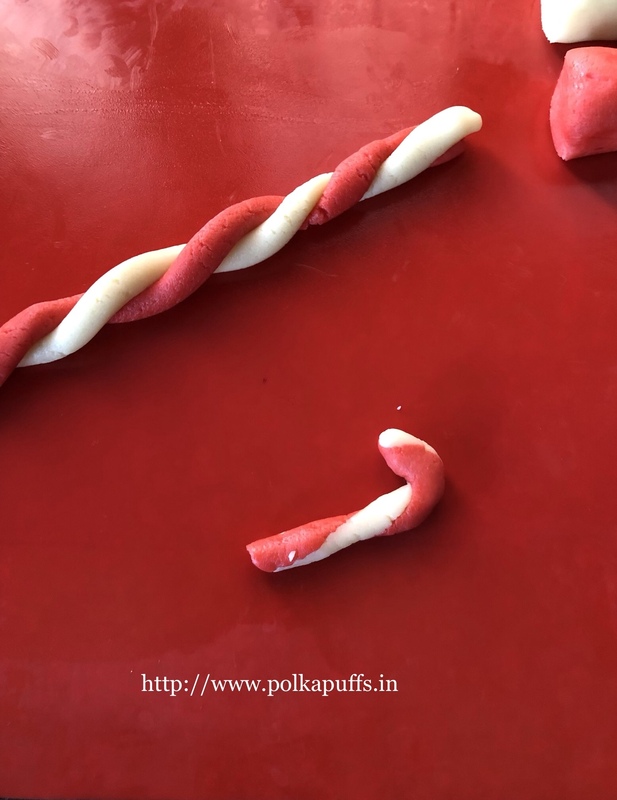 As shown in the first picture here, twist the red colored and the white log together. Then cut out 8 equal sized pieces of the twisted log. Bend one end as shown in the second picture. Repeat for the remaining 7. Place of the baking tray and refrigerate for 15 minutes. Bake these for 10-12 minutes. They must not change color. Let them cool completely on the tray, they will crisp up too. Store them in airtight boxes and they will remain fresh for 3-4 days. 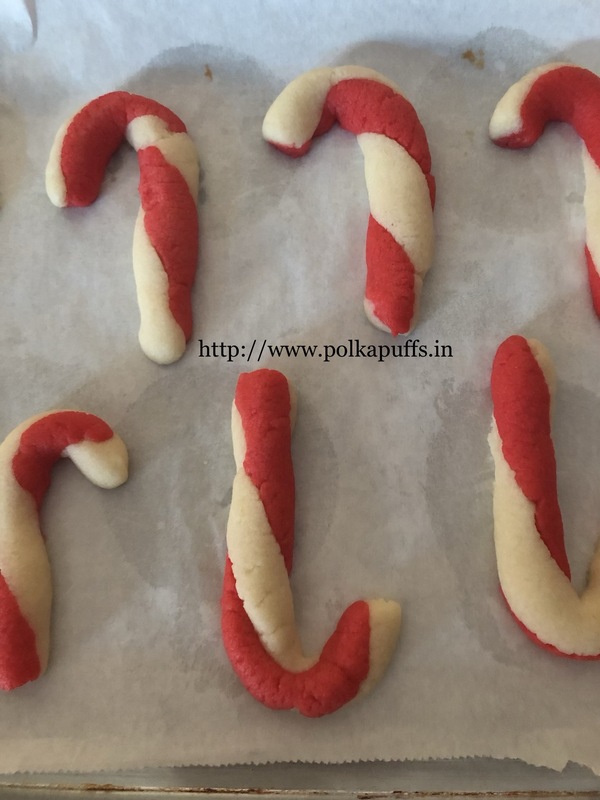 These are baked, as you can see the shape is perfect, none of the cookies have spread. PLEASE NOTE THAT I HAVE MADE ONE BATCH OF THE SUGAR COOKIE DOUGH AND MADE THESE 3 VARIETIES OF COOKIES IN SMALL BATCHES. You can double or triple the quantity of these cookies by doubling or tripling the quantity of the ingredients of the sugar cookie dough. CLICK THIS LINK TO READ ALL THE TIPS TO BE TAKEN TO BAKE PERFECT COOKIES THAT NEVER SPREAD. We will now see the recipe for a batch of the dough. In a bowl add the all purpose flour and icing sugar. Whisk these together. Now add softened butter and vanilla extract. Use the whisk to mix them together, no need to whip them. (click here to get the best tips to ensure perfect cookies that never spread). The texture of the mixture will resemble bread crumbs. Now, add 1 tablespoon of the milk at a time and bring the dough together very gently. Do not over knead this dough. Also, please do not add more milk than necessary. I used approximately 3-4 tbsp. of milk and it was good enough. Next, wrap this soft dough in some cling wrap and set it in the refrigerator for 30-40 minutes. While the dough rests in the refrigerator, prep a baking tray with parchment paper. Set this aside. Remove the dough from the refrigerator after 30-40 minutes, dust the dough and the rolling pin with some all purpose flour. (I used a silicon sheet to roll this on, the dough won’t stick at all). Roll the dough to a thickness of 3-4 mm. 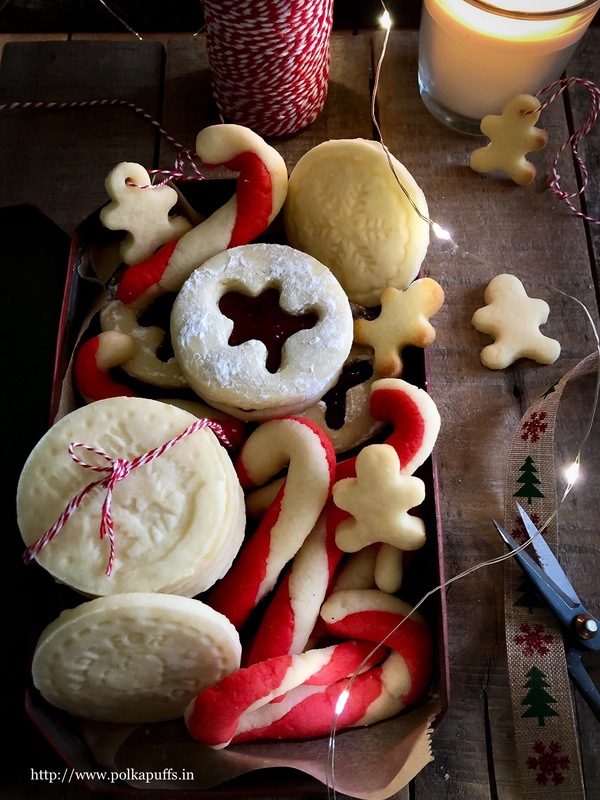 Use any fancy cookie cutter to cut the dough into shapes or just cut then squares using a basic knife. You can even use any cap of a container to cut shapes, they look just fine and pretty. 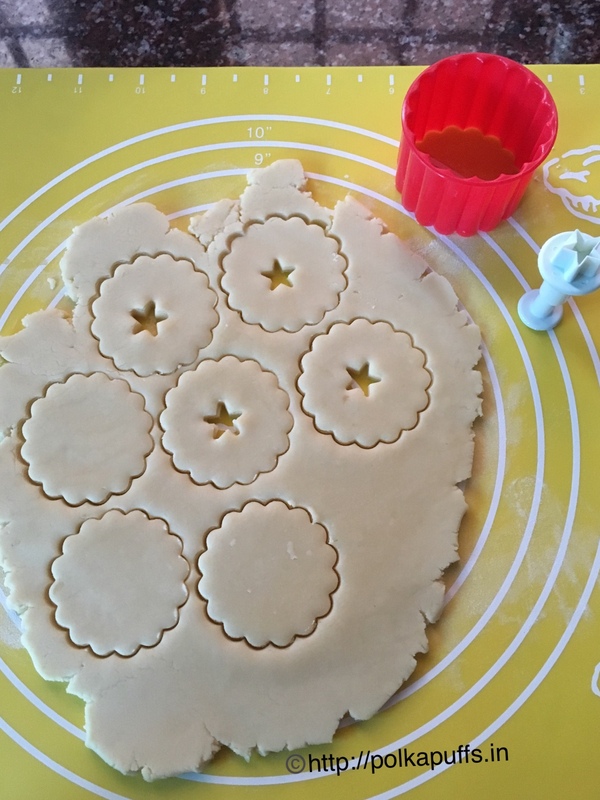 Now place these cut out cookie shapes on the parchment lined baking tray. Refrigerate them for 15 minutes. Preheat the oven @160’c for 10 minutes. Bake the refrigerated cookies for 10-12 minutes. The baked cookies must not change color. Remove them from the oven and let them crisp up on the baking tray for 15 minutes. Then transfer the cookies on a cooling rack to cool them completely. Then store them in airtight containers. They keep fresh for 3-4 days. 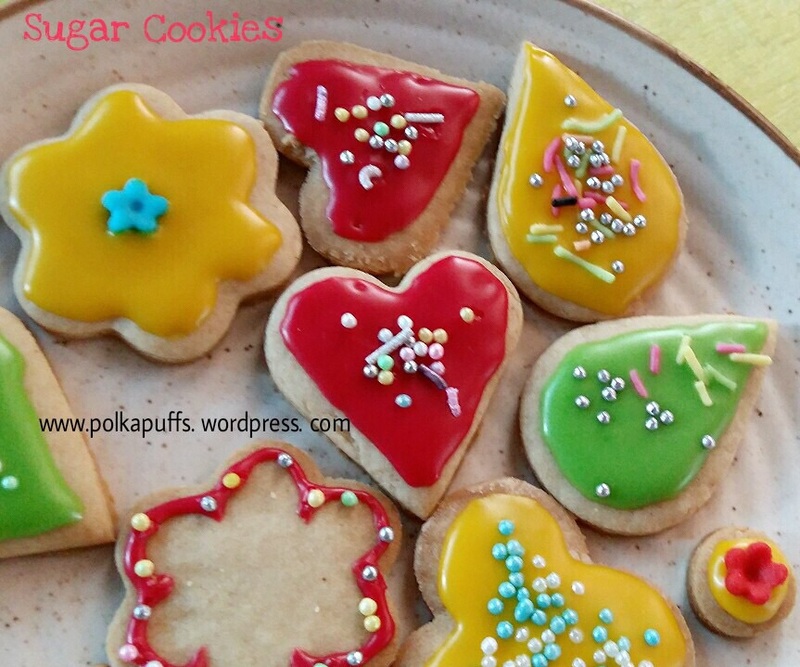 Or follow the steps mentioned in the post above to make different varieties of these cookies. Buttery, delicious and easy to make eggless Sugar Cookies are a great option for the Holiday Season. 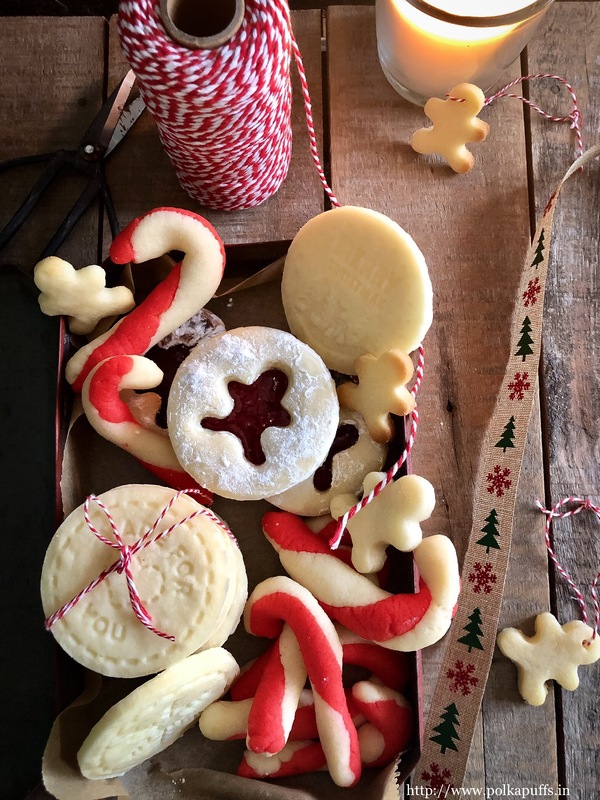 Use this recipe to create a to of fancy Christmas Cookies. Use the whisk to mix them together, no need to whip them. The texture of the mixture will resemble bread crumbs. Remove the dough from the refrigerator after 30-40 minutes, dust the dough and the rolling pin with some all purpose flour. (I used a silicon sheet to roll this on, the dough won't stick at all). Preheat the oven @160'c for 10 minutes. Follow the steps given above for ways to make different varieties of cookies using a single dough recipe. This dough can be frozen for up to 2 weeks wrapped in a cling film. To thaw, place the dough in the refrigerator for 12-15 hours. Then follow the recipe to roll them, refrigerate and bake the cookies. Christmas 🎄✨is so close and all I think about is what all I wish to bake for it😋 There’s plenty to be done…I have already finished doing a fair bit in whatever little time I have between so many things…I almost thought I’d have to skip it this year! The one thing that was on my mind were these gingerbread man cookies!! ☃️☃️ I’ve had these cookie cutters for ages now and i was itching to put them to good use 😂 I mean, I did bake gingread cookies last year too but just regular round ones and hence didn’t even post them on the blog…not to forget, I had baked them for New Years!! Lol!! Well, there’s a good reason being a bit tardy…..will come to that shortly. Don’t they look crisp, all nice and crunchy!? Well that’s precisely why I didn’t mind waiting for an entire year to share the perfect recipe for an egg free, molasses free version of these cuties. I had tried a couple of recipes last year (I had more time then I guess to keep experimenting)…anyways I didn’t enjoy them as they had egg and also called for molasses. I found all the ingredients easily but maybe it was the flavour that wasn’t quite right. Or maybe it was me..I did something…I don’t know! Those cookies looked great even as a typical round, flat version but obviously they lacked the snap and crunch in every bite. After hunting for another version which would be eggless and molasses free, I did stumble upon a great keeper of a recipe! The texture of these gingerbread man cookies is just how it’s supposed to be, crunchy and keeps fresh for upto 2 weeks in an airtight container. They have wonderful snap of them and the aroma…well it’s smells like Holidays in my home 😍 These best part, no electric heater or whisk is needed, no fancy equipments either…just make the dough and roll it out, use a cookie cutter of any shape you like, a star or some Christmas trees or even little mittens if you get hold of them. Bake these and ice them or enjoy them just like that. Do read the recipe carefully before starting out. Also keep all the ingredients ready on the work surface, it will save you time and you will definitely avoid missing out anything important. Also note that every oven works differently so please monitor trhe temperature and the baking time as per your oven. 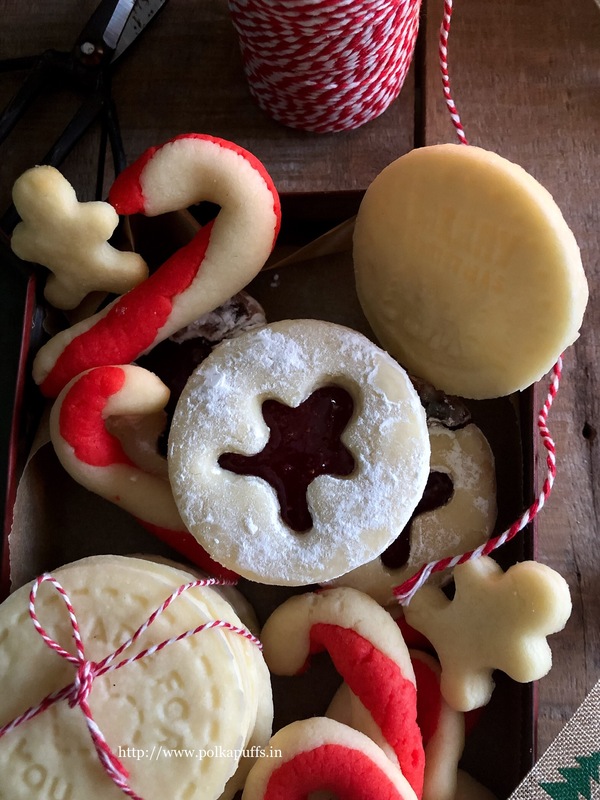 Equipment: a heavy bottomed saucepan, a wired whisk, measuring cups/ spoons, a large mixing bowl, cling wrap, cookie cutters or knife (if you’re going for simply square or rectangular cookies), baking pan, parchment paper/ baking paper, cooling rack. In a large mixing bowl, seive together the flour, ground cinnamon, ground cloves, ground ginger, ground nutmeg and the baking soda. Set these aside. Now, place butter, corn syrup, milk and sugar in the sauce pan and turn on the heat. Let the butter melt and the sugar dissolve completely on a low flame while stirring it continuously with a wired whisk. Once the sugar has melted, turn off the flame. Let the mixture cool for just 5-7 mins but not more as it thickens because of the corn syrup. Next, add this butter and sugar mixture into the sieved flour and spices. Mix well using the whisk. The dough will come together very easily, if not add just 1/2 teaspoon of milk and bring the dough together. If needed only then add a few more drops of milk. If you add too much milk, the dough will turn out to be extremely gluelike and won’t hold a good shape. Now, wrap the dough in cling film and refrigerate for 10-15 mins. Please do not refrigerate the dough for longer as it will become too hard to roll out. Preheat the oven @ 180’c. Remove the dough from the refrigerator, place it between two sheets of cling wrap, dust it with very little flour and roll it out to a thickness of 4 mm approx (I like them thick, you can roll them to a thickness of 3 mm too). Use a cookie cutter or knife to cut them out. Line a baking pan/ tray with parchment paper or baking paper and place these cookies a little apart from each other on it. Push the sprinkles in place where you want to make the eyes and smile for the gingerbread man. Or else do an icing later. The sprinkles won’t melt while baking or fall off later. Tip: roll and cut all the dough at once because this dough gets a bit sticky. 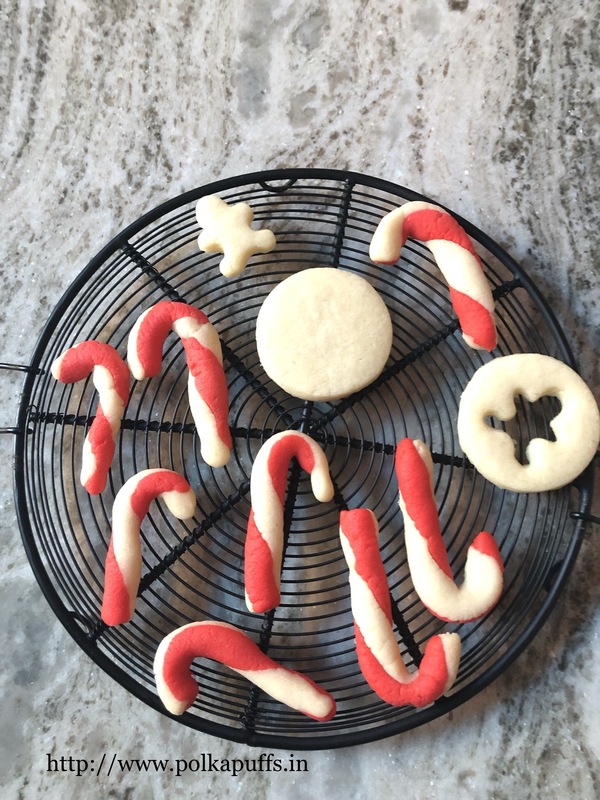 If you have a small oven and can bake only 10 cookies at a time, keep the remaining cut out cookies on a plate in the refrigerator until you have to bake them. Please do not freeze the dough, it will become rock hard and will not come to a good texture to roll them later. Bake the cookies @180’c for 13-14 mins using the lower rod for the first 11 mins and the upper and the lower, both rods for the last 2-3 mins to ensure a good colour. (My cookies cracked a bit as some of the sugar wasn’t melted well , but they still turned out crisp and didn’t spread much). Keep an eye while baking them. Cool them on a cooling rack. Click here to learn how to make and use eggless royal icing to ice and decorate any cookies. So it’s the corn syrup that replaces molasses and makes these cookies crisp. Adapted from art of dessert. Biscotti is a traditional Italian cookie which requires the dough to be shaped as logs, baked until done, then cooled a bit, sliced and baked again until crispy and crunchy! A perfect companion to your coffee. There’s no other way to describe it except – too good! Yes, if I may say so myself…this recipe is a keeper. Don’t hunting for other recipes of biscotti because you won’t need one if you try this recipe☺️ This has become my go to recipe for biscotti for the past year or so…and I bake them often! You can obviously make out how crunchy these are, but definitely not in a bad way! They are crunchy and yet very enjoyable. I will point a few basics that I learnt from this recipe after failing with a couple other recipes in the past. Essentially, eggs are the only wet ingredients that are added to any biscotti recipe but adding butter or oil can make them richer with obviously a much better texture. This recipe called for oil too but I somehow didn’t like the after taste and hence skipped it after the first trial. Eggs, yes I have used 1 and a 1/2 egg here…don’t be surprised. I always make half of what this original recipe specifies and trust me, the 1/2 egg is very essential (I realised that too with some trial and error) so do not miss that. However, if you’ve decided to half my recipe, I am not sure how the egg factor will work out! Or probably, ping me later and I will definitely come up with a way for you to do that too ☺️ Else, just use a really small egg. 1. In a large bowl, whisk together the flour, cinnamon powder, salt and sugar. 2. Add cold and cubed butter into the flour and sugar mixture. Rub the butter into the flour with your fingertips until the flour mixture resembles breadcrumbs. Set it aside. 3. Now in a small bowl, whisk one egg. Now remove half of the whisked into another bowl (Save the half whisked egg for egg wash). **Add one whole egg to the second bowl in which you have transferred half of a whisked egg. Now whisk this one and a half egg together. Add vanilla extract to the whisked eggs and whisk again. 4. Now add the whisked mixture of eggs and vanilla extract into the flour and butter. Use a large silicon spatula to mix until everything is well moistened but do not over mix. 5. Now, sprinkle some flour in a large plate or the working surface. Place the dough on this floured surfaced and knead well for a few minutes. But keep enough loose flour around as this dough is super sticky so you’ll continuously need to dust the surface and your palms too. Dont worry about the dough even if it looks too sticky, it will all come together in a few minutes. In the mean while, preheat the oven at 160’c. 6. Shape the dough as shown below and place it on a parchment lined baking tray. I had dusted the parchment paper with some flour too. 7. We had set aside 1/2 a whisked egg aside, add 1 tbsp of milk to it and whisk again. Use it to Give an egg wash to the shaped dough. 8. Bake this shaped dough at 160’c for 20-25 minutes using the lower heating element. In the last 5 minutes of the baking time, turn on the upper heating elements to give a good colour to the top of the biscotti. Leave the oven running at 140’c. 9. Now, let this cool for about 15 minutes but not completely cold. Using a large serrated knife, cut it into 1.5 inch wide slices. Place them on the parchment lined baking tray as shown below. These stay crunchy and fresh in an airtight container for about a week or so. I will be making these again…maybe around Christmas. I have followed a very easy recipe that I had bookmarked sometime back. I have made a very small change here, the original recipe called for Amaretto, I replaced it with Vanilla extract as I didn’t have any Amaretto. 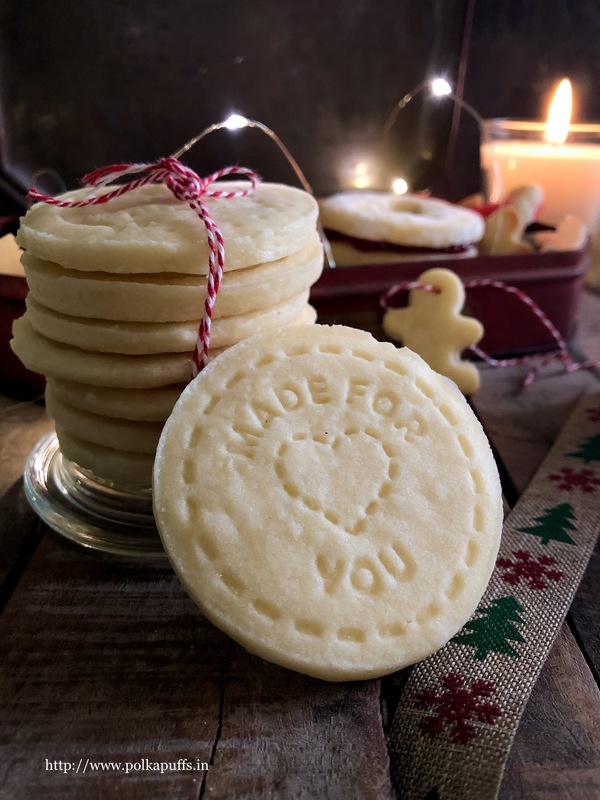 Any ways, coming to the recipe…it’s as easy as it gets but I will share a few pointers on how to measure the flour for that perfect cookie. Equipment: a mixing bowl, electric whisk/ manual whisk, baking tray, baking paper, measuring cups/ spoons, cooling rack, rubber spatula, cling wrap. Pre heat the oven @170’C. See tips for baking/ heating oven here. Line the baking tray with baking paper and set aside. In a mixing bowl, whisk sugar and butter until fluffy. The sugar must dissolve but do not over whisk as the butter may split. Next, add the flour, salt, vanilla extract. Whisk again for a minute to mix the butter & the flour well. Then add the almond slivers and mix gently using a spatula. Place the dough on the cling wrap. Gently shape the dough into a log. Wrap it in the cling well. Place it in the refrigerator for 40-45 mins. Once the dough has chilled well for 45 mins, remove it from the refrigerator and let it sit out for a few mins. Then cut the log of dough into 1/4 inch slices. Place them an inch apart on the prepped baking tray and bake @ 170’c for 12-15 mins or just until the edges turn slightly golden. Once baked, cool on the cooling rack for about 15-20 mins. They will crisp up. Tips on measuring the flour correctly: Never dip the measuring cup in the flour and remove a cupful of flour. You will end up with a lot more flour than required. Always fluff the flour well with a spoon. Then use the spoon to fill the measuring cup to the top and level it off using a knife. This way you will always have the exact amount of flour needed and the dough won’t turn too dry because of excess flour. 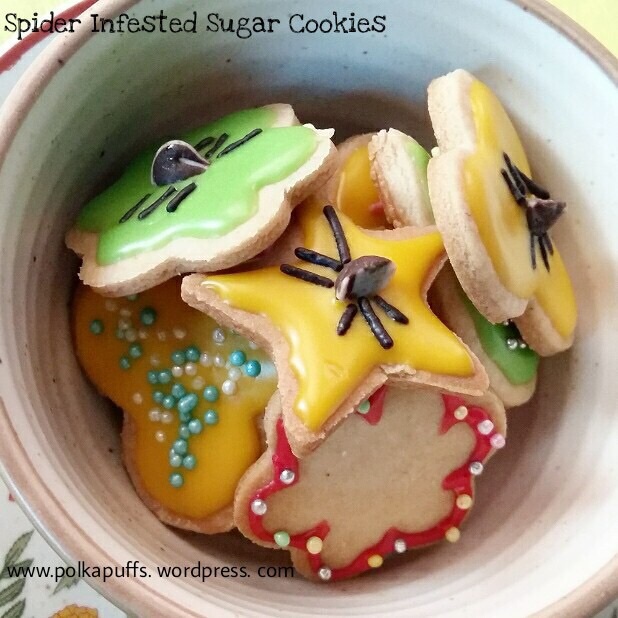 Yes…I have some itsy, bitsy spiders who seem to have taken a liking for my cookies and are crawling all over it!! 🍇LoL! 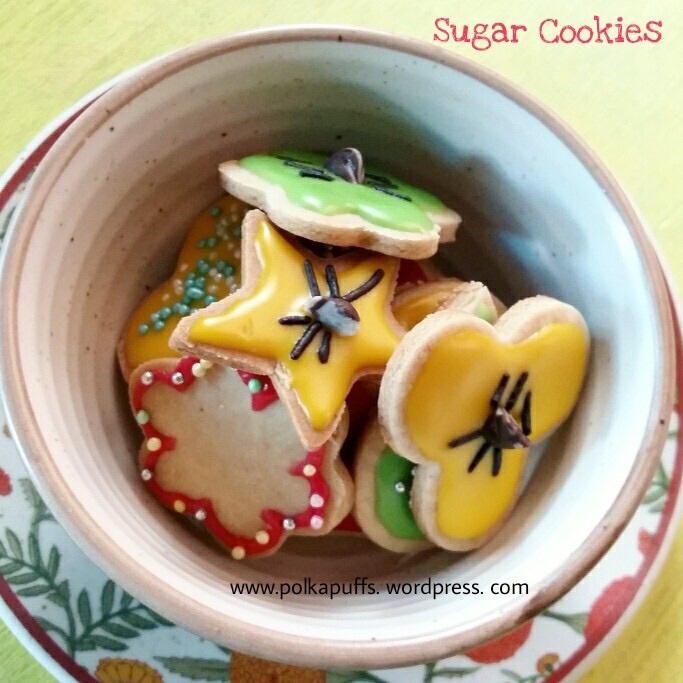 Nah…it’s just a bit of Halloween fever going on in my house with these cookies. I decorated them to look like spiders (Idea taken from Pinterest). 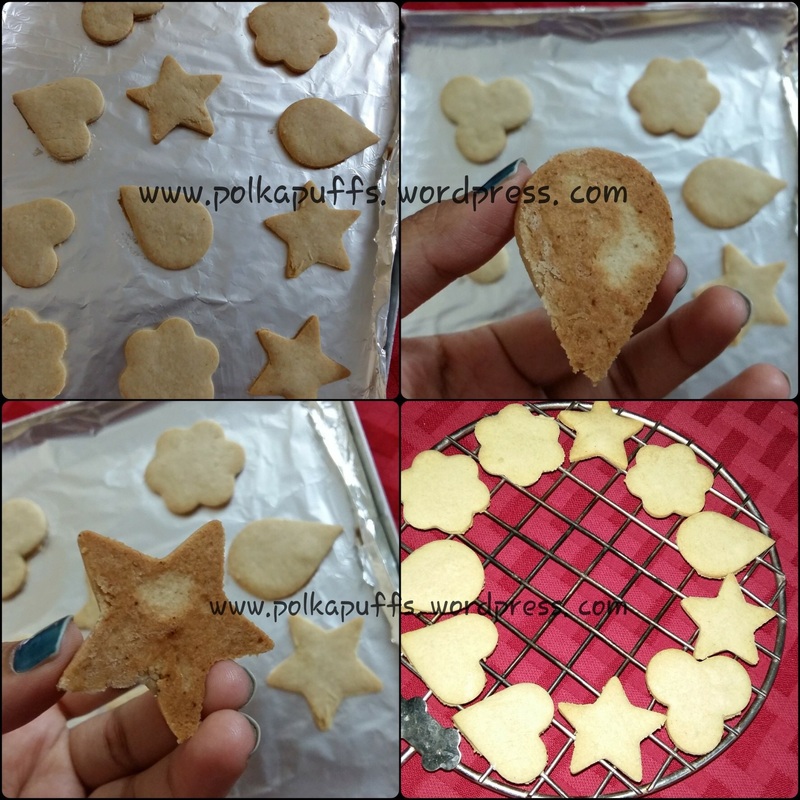 These cookies aren’t too unhealthy…as I have used a mixture of wholewheat flour (atta) and all purpose flour (Maida). Besides, if you don’t liking too much of sugar in your food, skip the icing. These cookies taste yummy and buttery even without all the icing. And if you avoid artificial colours in your food, simply skip the colour and make plain white icing and then decorate it with some sprinkles, etc. They will still be as delicious as they could ever be! Let’s get started with the recipe… Please note that I made the cookies the previous day, cooled it overnight and then frosted them the next day so that the frosting sets well. Equipment: a large mixing bowl, a wired whisk, a rolling board, a rolling pin, cookie cutters if making shapes, a flat spatula, baking tray, aluminium foil/parchment sheets, cling wrap, cooling rack, a few small bowls, extra spoons, measuring cups/ spoons, parchment paper to make the cones for icing. In a mixing bowl, sieve together the flours, baking powder & icing sugar. Give them a stir. Now add the butter and the vanilla extract. Use your whisk to mix these ingredients, they will resemble a bread crumb like texture. Now, add milk one tbsp at a time, and use your hands to bring together the dough. Don’t over knead the dough. Also, please don’t be tempted to add more milk. I used just 4 tbsp and it was enough. Now wrap the dough in cling film and refrigerate for 30 mins. In the meantime, line the baking tray with aluminium sheet or parchment paper and keep it ready. After 30 mins, take the dough out of the refrigerator. Dust some APF on the rolling board and the rolling pin too. Start rolling the dough gently to a thickness of 3 or 4 mm. Not more than this. 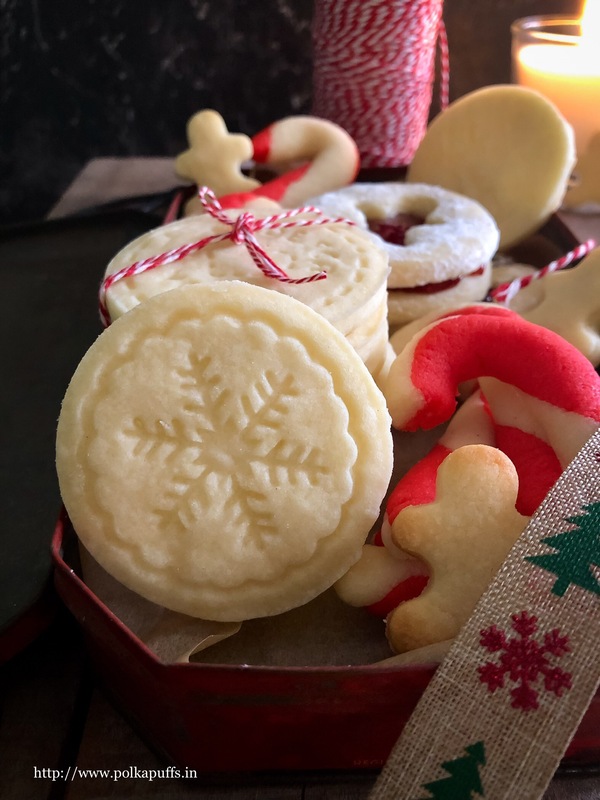 Use any cookies cutters to give fancy shapes or just use a circular cap with a sharp edge of any bottle to cut round shapes. Use a flat spatula to carefully pick the cookies and place them on the lined baking tray. Do the same with the entire dough. Now, refrigerate these it cookies for 30 mins before baking to avoid speaking out and loosing the shapes. In the meantime, pre heat the oven to 180’c for 10 mins. (Please note that each oven works differently, so you will have to adjust the cooking time accordingly). Now that the cookies are chilled for 30 mins, bake them for about 15 mins or until the edges just begin to turn golden. My oven took 15 mins to turn the edges golden & I used the smaller cookie cutter, depending on the size of the cookies and your oven, you will have to keep an eye on them to prevent them from turning too dark. You can see in the above picture that the bottom of the cookies too were evenly golden ☺️ That’s the perfect colour. When you snap this cookie into two, it will be crispy without many crumbs. Next, let these cookies cool on a cooling rack for minimum 5-6 hours or overnight in a container Before you frost them. Don’t let them cool on the cooling rack for more than 2 hours else they will turn soggy due to the humidity and the frosting won’t set well. But do not refrigerate either. First, make cones for icing using parchment paper (sorry do not have pictures as I was doing this but alone and hubby wasn’t around to help with clicking). If you wish, u can use ziplock bags too for icing. Just cut the tip of the bag once you fill the frosting in it. Keep the cookies ready on a plate. In a bowl, add icing sugar, cornflour, lemon juice. Stir well. Now add in a little milk and mix well. Don’t add all the milk at one go. Make a smooth paste of a dropping consistency but it should NOT be runny. If you need to thicken the mixture, add some more icing sugar. To loosen the mixture, if needed, add a few drops of milk. If you want to skip the colours, then just fill the plain white icing in a cone/ bag, make a small cut at the tip of the piping cone/ bag. Carefully draw the outline of the cookies first and then fill the centre too or not. As you like. 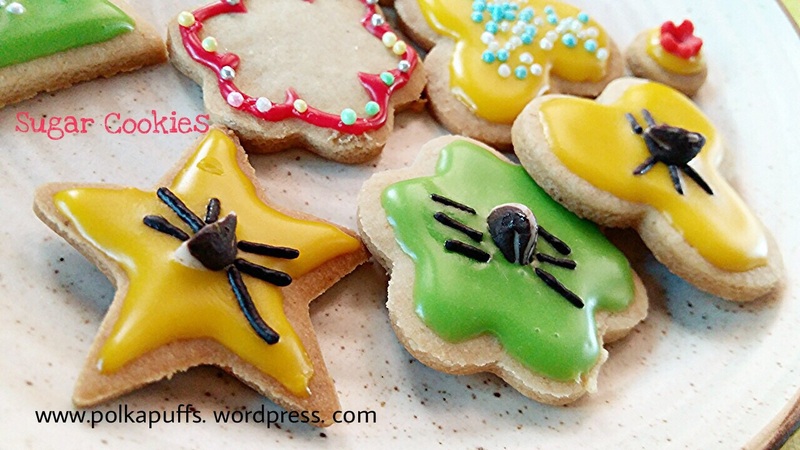 Decorate with some sprinkles or chocolate chips and chocolate vermicelli to make small spiders…or keep it plain. 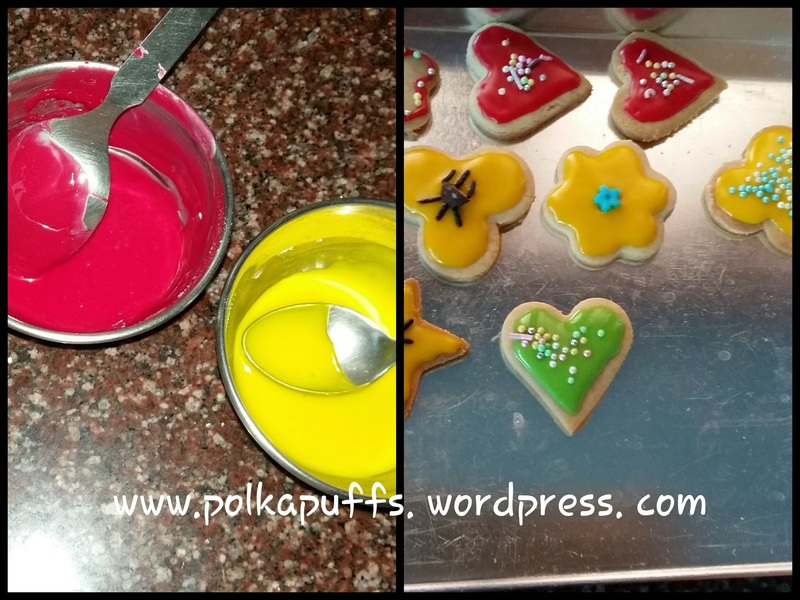 If you wish to add colour, then divide the plain icing in equal parts depending on how many colours you want to incorporate and add a few drops of food colour. You can add 1 drop and make a lighter shade or add 2-3 drops and make it a darker shade like I have done. Now fill the icing in the piping cone/ bags, make a small cut at the tip of the cone/ bag. And follow the same way as I have explained above for plain icing. Go ahead and decorate them! Let these frosted cookies set at room temperature for at least 1-2 hours before you grab them! 😋😋 they will dry and the frosting will become very thick and hard. Have them plain…have them frosted..decorate it or just keep it simple! It’s up to you. You can frost it in any pattern or design of your choice…I did a basic frosting but it’s bright and eye-catching!! 💃💃💃 Hope you like these! They keep well in a air tight container for about 3-4 days.Do not refrigerate, the frosting won’t melt.